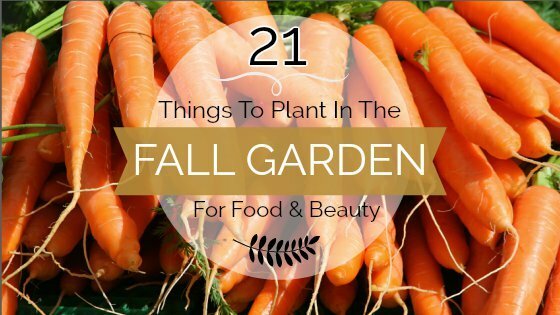 Container gardening has so many advantages over the traditional practice of growing in the ground. Not only does it save on water and fertilizers, but pest control is easier, harvesting is a breeze and you can move your containers to wherever you would like them – even indoors if you prefer! This type of gardening isn’t just functional though – using a variety of planters is an easy and inexpensive way to liven up your garden and provide a unique conversation starter. Brighten up your garden in just five minutes with this super quick and easy-to-make container. Add a shabby chic vibe to your garden with a living flower dress! 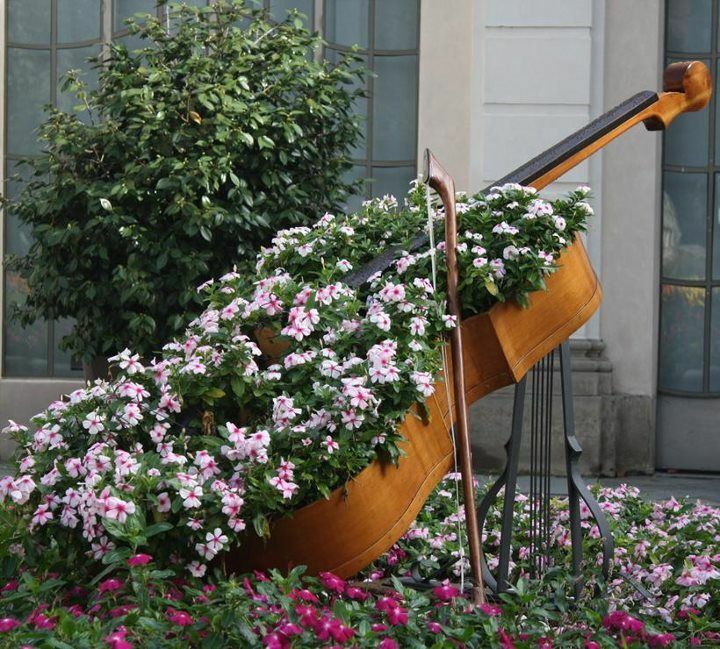 Give a new lease of life to damaged and abandoned instruments in your garden. Violins, trumpets, pianos and even drums make for a magical, musical sight. 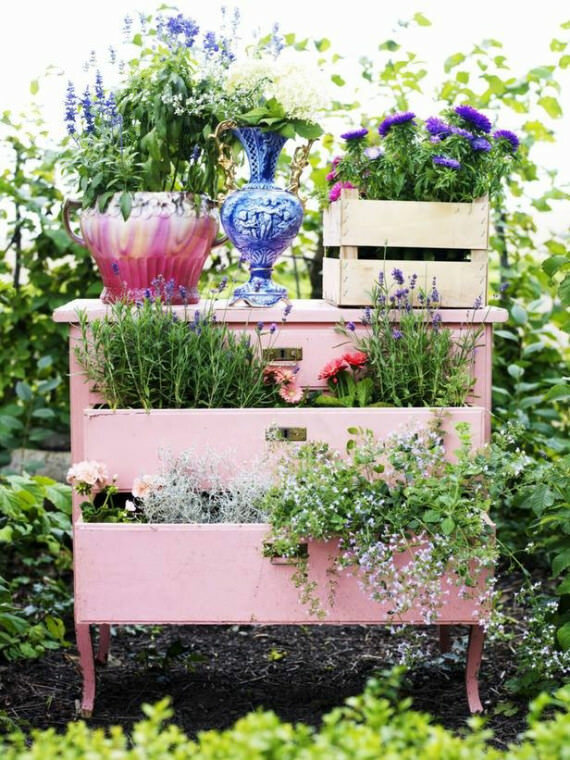 Dress up your plants in an old dresser, revamped with a lick of paint and colorful embellishments. There’s no better use for a faded and cracked old bath tub than in the garden, filled with trailing vines and bright blossoms. Contrast tough and functional wellington boots with delicate leaves and petals and you’re onto a winning combination. A different take on using a watering can in the garden, this cute planter even features crystals at the spout to create faux water droplets! 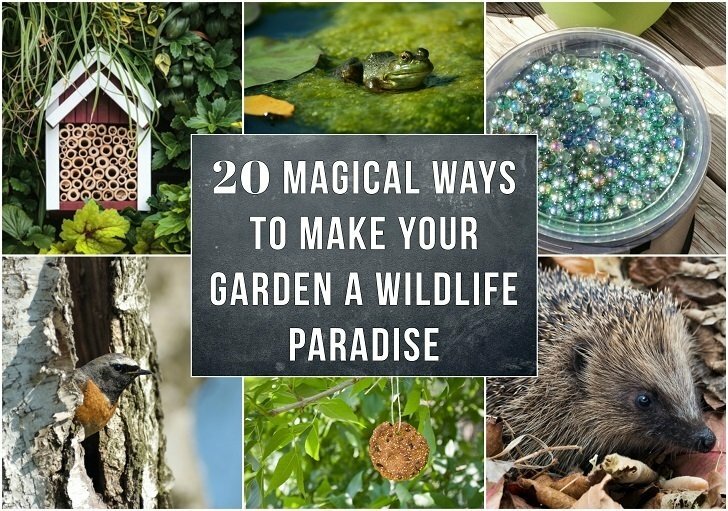 Put empty bird cages to better use by filling them with plants rather than creatures – it’s sure to be a stunning focal point in any garden. All manner of children’s toys can be turned into whimsical planters, although this vintage toy truck is one of the best ones we’ve seen yet. 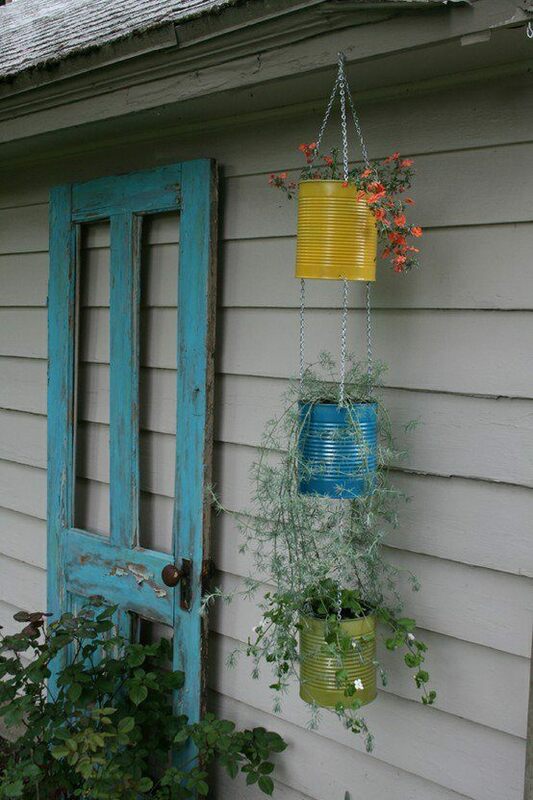 Save on space by threading some colorful tin cans to form a cascading garden planter – perfect for trailing vines. With thrift store crockery and the use of delicate white flowers to imitate dish soap suds, this kitchen sink planter will fit into any quirky backyard. Eye-catching bicycle planters are one of the more popular containers out there – and with good reason. They look simply fantastic! Writers and book worms will relish the opportunity to transform a rusty, damaged old typewriter into a fabulous and unique plant pot. Keeping with the vintage theme, old style tin boxes – like this one for dog food – are ready-made planters which require few alterations before placing in the garden. 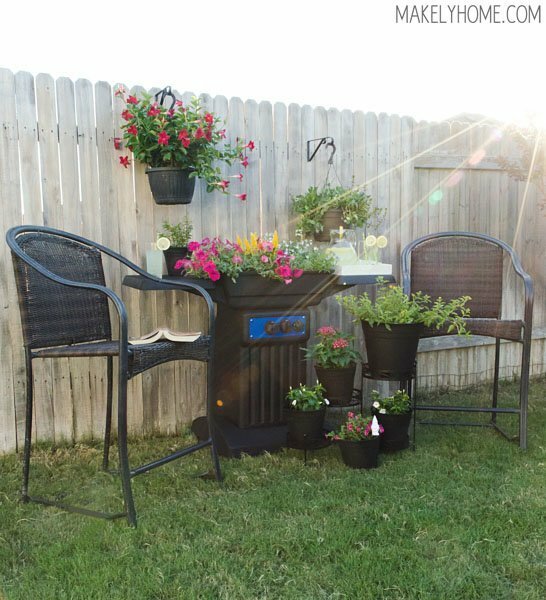 Repurpose unusable patio or dining chairs into handy garden containers – perfect for those with balcony gardens. 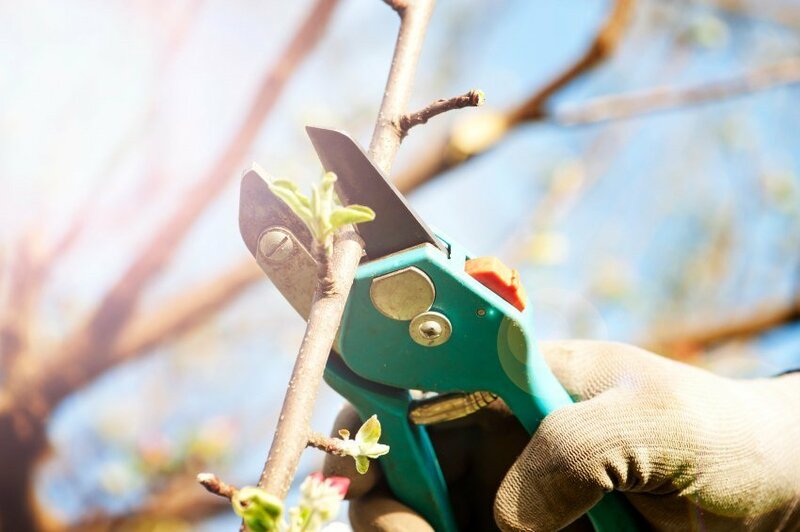 Garden tools aren’t just useful to plant with, they’re pretty handy to plant in as well! 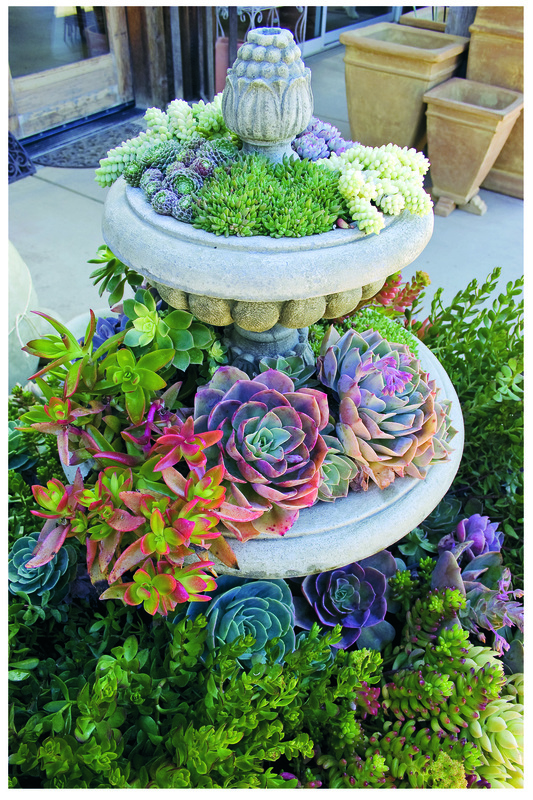 This stunning succulent display is made by planting in a dried up concrete fountain. Finally, a use for those old tree stumps at the bottom of the garden. Plant new life inside and watch it blossom once again. Dress up your tired old barrow with an array of colorful flowers and luscious green foliage – you’ll hardly believe the transformation! These beautiful upcycled books add a little charm to your home or office without too much effort on your part. Milk cartons are cut and wrapped in linen to form these beautiful spring centerpiece containers. Add a touch of luxury to your outdoor living space with its very own chandelier – filled with colorful and trailing flowers. Tires can be used in the garden in so many ways – from making ponds to raised beds – but these ‘burst’ tire containers are one of our favorites. Hang on to old mirror and picture frames and re-create this piece of living art for your backyard. A collection of vintage silver ice cream dishes house tiny succulents which make for an incredible centerpiece when grouped together. A beautiful blooming plant in a gorgeous pink sea urchin shell – perfect for any home or patio space. Even boring old cinder blocks can be used for container gardening! These ones are especially striking as they have been livened up with some neon spray paint. Dip old paint cans into bright colors for a quick and entertaining project that even the kids can get involved in. A fun Father’s Day gift, these quirky and intriguing suspended succulent planters can be made with household items. The nautical theme never goes out of fashion, which is why your garden needs this boat container. Fill it to the brim with flowers of all varieties, and partially bury it for a shipwrecked look. Trash cans have never looked so good and, best of all, this look can be achieved for just $5 and 15 minutes of your time. Nature provides its own containers for your garden – in the form of natural rocks. The stunning contrast of stark stone and luscious greenery is hard to beat. These plain white cups and saucers make beautiful containers for bright little blooms. Vintage teacups, which you can pick up at a thrift store, also look fantastic. Once you’ve transformed your tea cups, it’s time to turn your attention to the tea pot. This plain retro one looks especially good when paired with rich greenery. Turn your utilitarian old grill into a quirky pop of color on the patio – the perfect spot to enjoy summer drinks while admiring your handiwork! Reclaimed pallets have so many uses around the home and garden – including for this easy, low-cost pallet planter which is as functional as it is beautiful. Proving that no item is too small to be used as a garden container, these tiny wine cork planters can be made in just four easy steps. This magazine rack turned planter brings a certain elegance to the garden, don’t you think? A clever and fun way to repurpose an old toolbox, while still retaining a sense of its former function. Probably the most comical planters on the list, these denim flower containers are sure to garner a lot of attention and laughs!